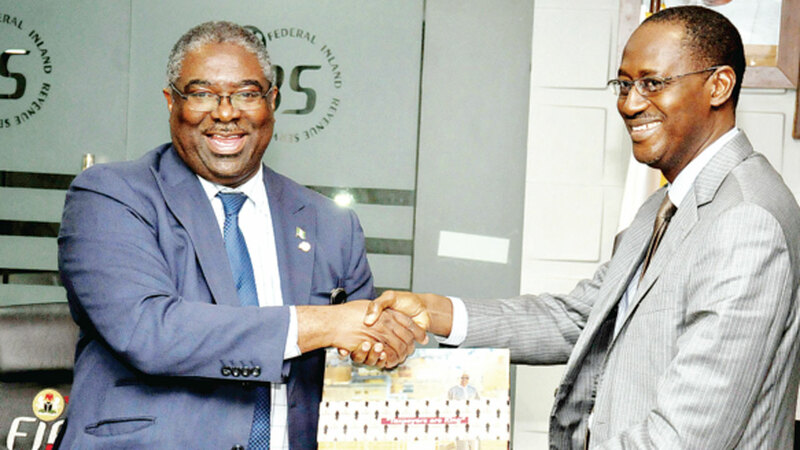 Chairman, Federal Inland Revenue Service (FIRS) Tunde Fowler and Managing Director, Federal Mortgage Bank of Nigeria (FMBN) Ahmed Musa Dangiwa in exchange of corporate profile packages during a courtesy call of the former to FMBN in Abuja. 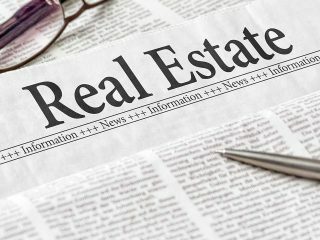 The Federal Mortgage Bank of Nigeria (FMBN), is collaborating with the Federal Inland Revenue Service (FIRS), to enlist all corporate organisations to key into contributing to the National Housing Fund (NHF) Scheme. 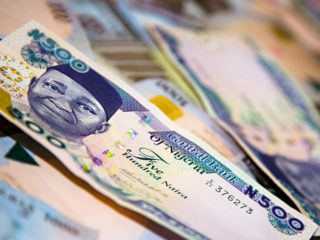 Towards increasing remittances and collections for NHF, the FMBN is to access the FIRS’s database to obtain the comprehensive list of all corporate organisations operating in the country with a view of discovering non-contributing organisations and enforcing compliance with the assistance of relevant government agencies. The FMBN Managing Director, Ahmed Musa Dangiwa, who disclosed this while on a courtesy call to the Management of the FIRS to seek for support, explained that the FIRS database is required to expand its client base, boost NHF collection, and increase the Bank’s liquidity. This will enable it provide long term housing finance to Nigerians. 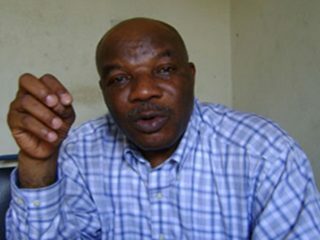 Dangiwa decried the reluctance of some corporate organisations and states government to deduct and remit 2.5 per cent of basic salary of their workers to the Bank, and thus impeding the operations of the Bank and the NHF scheme. FMBN had sought from the National Council on Lands, Housing and Urban Development (NCLHUD), to effect the implementation of the decision to recapitalise the Bank to a minimum capital base of N500billion, as one of the major steps towards its mortgage financing role. FMBN expressed concern that seven states including Lagos, Kano, Edo, Ondo, Kebbi, Niger, and Oyo had withdrawn their participation from the NHF scheme, but urged the respective governments to return and commence the statutory deduction of 2.5 per cent of monthly income from their workers, and remit same to FMBN in compliance with the NHF Act. Dangiwa explained that the visit to the FIRS Chairman, Tunde Fowler, was part of the efforts of the Bank to reach out to its customers, to sensitise them on its activities, and the benefits of the NHF scheme of providing decent and affordable housing to low and medium income groups at soft interest rate of six per cent. He highlighted some of the products being marketed by the Bank to include Cooperative loans, Rent-to-own, Home Renovation Loan, and the National Housing Fund Loan. He also said the Bank recently reviewed downward the personal equity contribution to enhance the affordability status of borrowers.On his part, the FIRS Chairman assured the FMBN Management of his readiness to partner with the Bank in meeting its mandate, and allowing it access FIRS database obtain the list of all corporate organisations, with a view to boosting the Bank’s NHF collections.